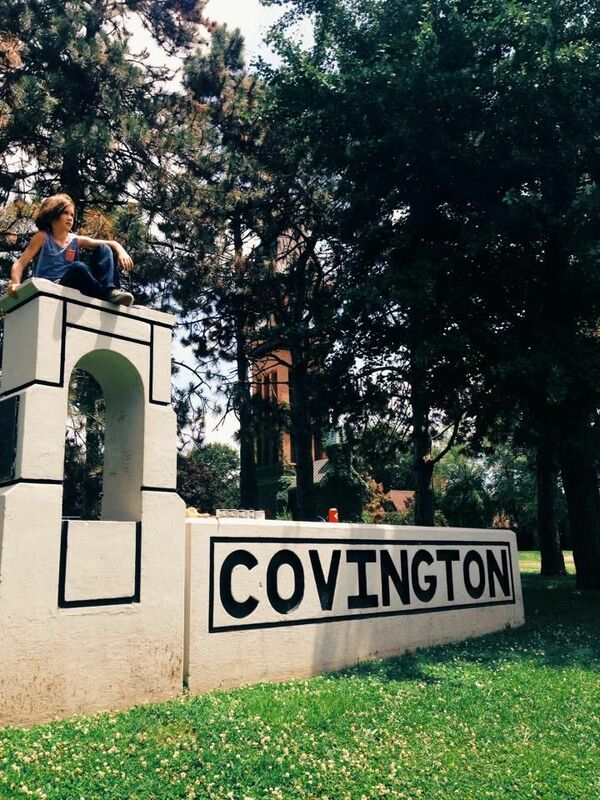 It is named for one of Covington's most famous native sons, is located in its most popular entertainment district, is situated in a densely populated neighborhood, and is passed by thousands of motorists daily at Fifth Street and Interstate 75. One of the city's most iconic structures, the Carroll Chimes Bell Tower, a German-inspired glockenspiel, sprouts proudly from its grounds. 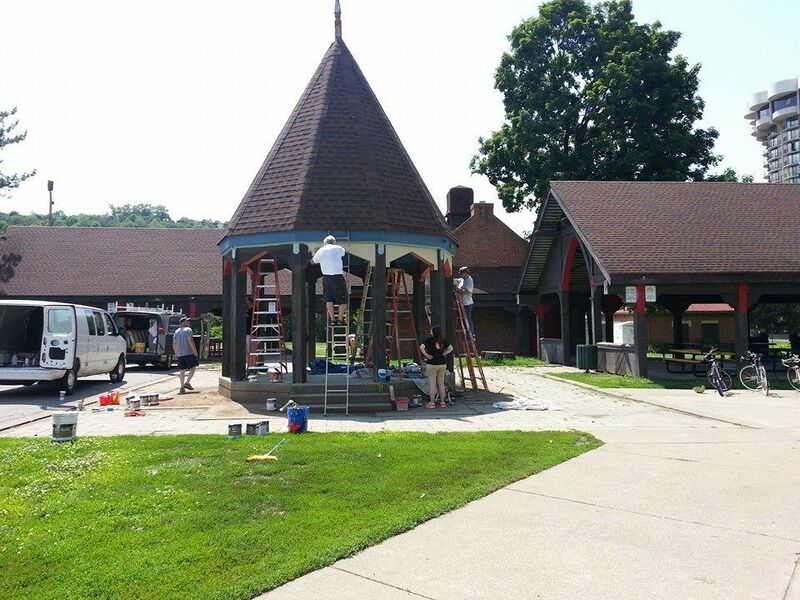 Its gazebo and picnic shelters boast designs that pay homage to the area's European heritage. It is a needed greenspace surrounded by urban life. 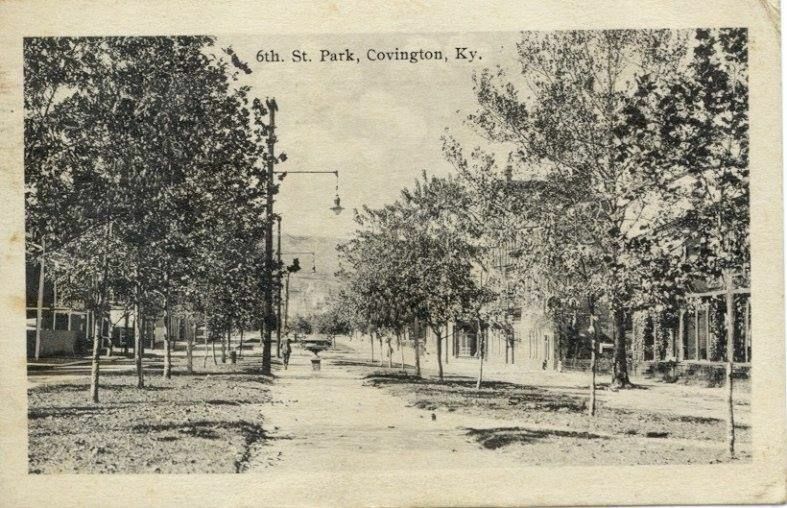 Goebel Park in Covington's Mainstrasse Village has the resume of a significant recreational destination. But it isn't. Instead of families picnicking and children playing, the park is mostly used by less savory members of the population. The picnic shelter is commonly an attraction for chain-smoking riffraff and the gazebo is an overnight bed for the homeless. A picture worthy of a postcard it is not. "What's important is that we have to get the community involved. We have to get the community using the space," said Victor Imperi, a member of a grassroots group of neighbors operating under the name and mission, Make Goebel Great. Imperi, speaking to Covington After Hours, the monthly social gathering sponsored by the Center for Great Neighborhoods, the Mainstrasse Village Association, the Friends of Covington, and the Latonia Business Association, shared the many highlights that have arisen from the group's short existence. 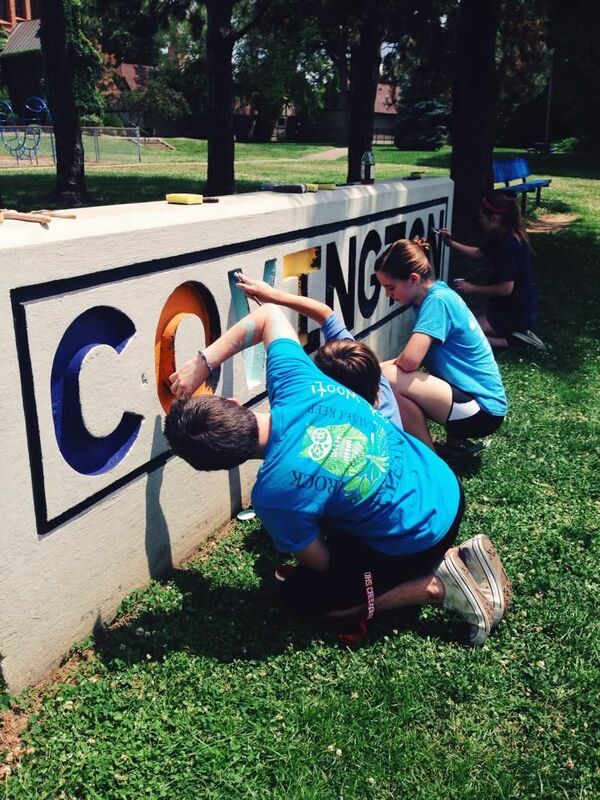 With the stroke of many paintbrushes in the hands of local kids and residents, not only is the park brighter, but so is its future. Make Goebel Great created a color palette to guide the fresher look of the park. 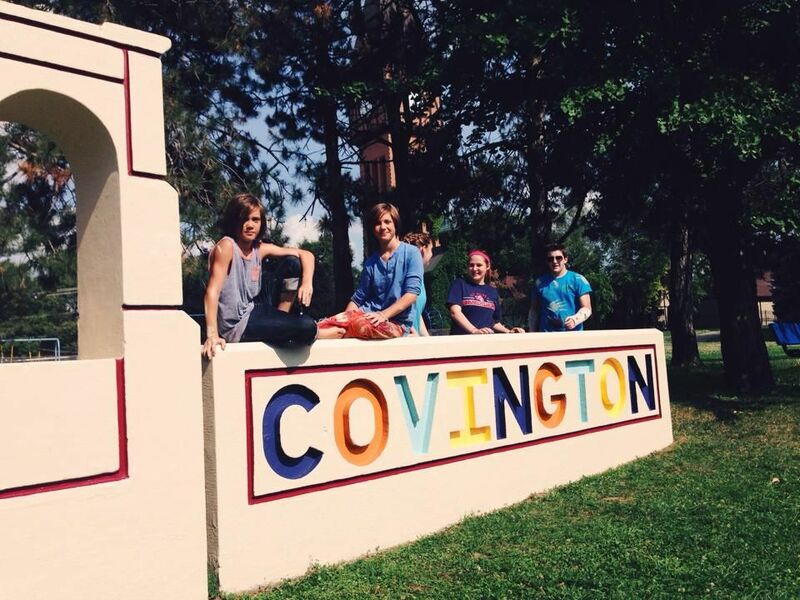 Instead of the charcoal lettering on the Covington sign that broadcasts the city's name to the interstate, it is now a welcoming multi-color invitation to visit. "We improved the old, dirty black and white to something more colorful and more representative of the neighborhood," Imperi said. 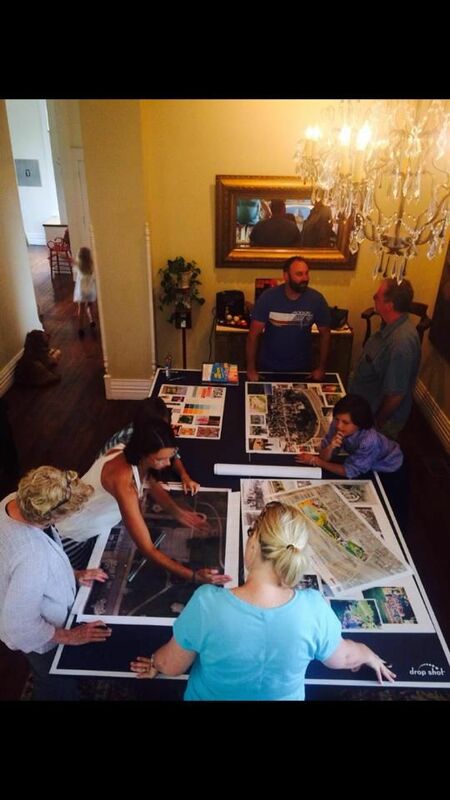 "The color palette will be used to attract the kinds of people we want to attract to the neighborhood and the space." The color scheme was crafted by Cole Imperi, Victor's wife, and Emily Wolff, another resident of the neighborhood who owns, with her husband Paul Weckman, Otto's restaurant on Main Street. The idea that Goebel Park could become more than it is, used more frequently than during Maifest or Oktoberfest or other large-scale events, was first pushed by a pair of 11-year old twins, who happen to be the sons of Emily & Paul. 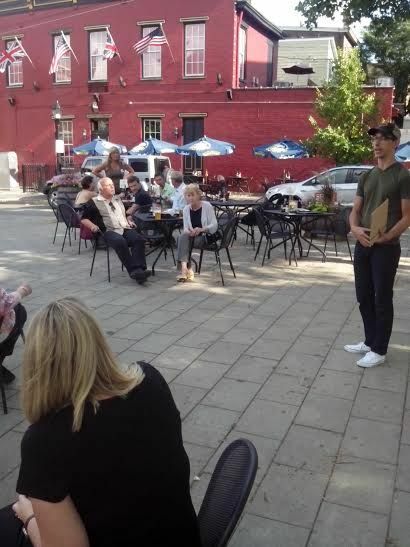 When the City of Covington hosted a public forum on how best to spend its Community Development Block Grant (CDBG) federal dollars, Adam and Rowan Weckman argued to Make Goebel Great. 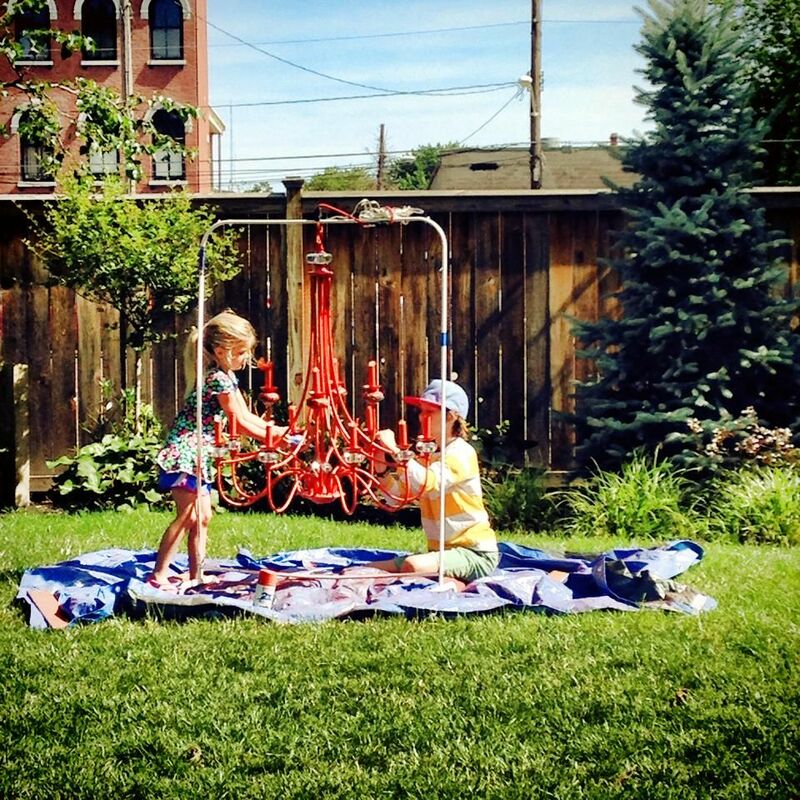 "Goebel Park has some amazing historical features like the Glockenspiel, but the playground is surrounded with chain link fence and Mainstrasse Village is a historic zone where chain link fence is not allowed. Shouldn't our parks be an example of what we want our neighborhoods to be?," the twins said during their presentation in February. "So, let's set the standard of greatness. Let's show everyone what Covington has to offer. Goebel Park is the biggest billboard Covington has. Let me say that again... Goebel Park is the biggest billboard Covington has! Let's make it amazing!" The City responded by designating $50,000 in CDBG funds. 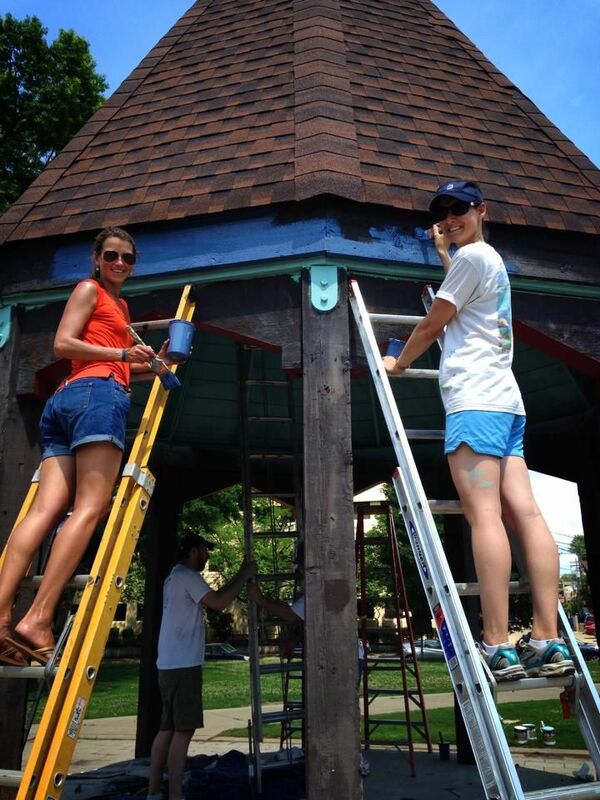 The effort was also awarded mini-grant funds from Place Matters through the Center for Great Neighborhoods. Those monies are being leveraged for even more money, Imperi said. Members of the group are also meeting next week with the firm that helped bring Cincinnati's Smale Park and Washington Park to life. 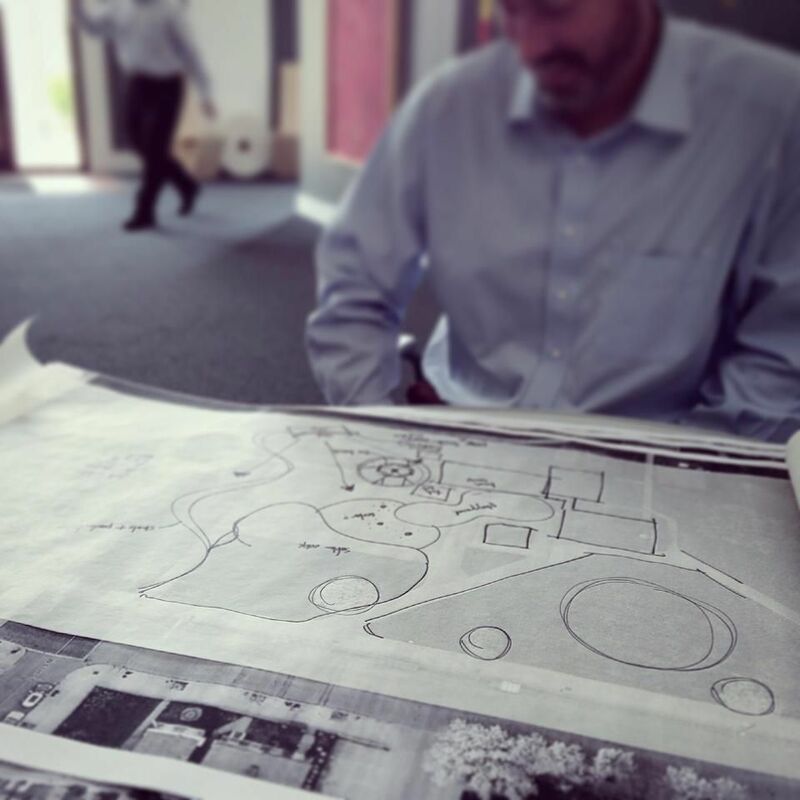 Bringing in experienced planners will be helpful in executing projects such as a skate park, a bicycle pump track, and new playground equipment, all on Make Goebel Great's agenda. Fortunately, the willingness of local residents and professionals to chip in has led to some beneficial networking. Jim Guthrie, an architect with Covington-based Hub + Weber, is intimately involved. Mayor Sherry Carran has also had a direct hand in helping the group. "Mainstrasse in the past has been its own source of conflict. Everyone is now coming together," Carran said. "It is an example of good citizen engagement. Everybody is chipping in. I'm hoping that this example here spreads to other areas in the city." "This is great to see the community come together for a common good," said Kim Wolf, executive director of the Mainstrasse Village Association. "It's a great park so any improvements that can be made will definitely benefit the community." But it's more than the park and playground equipment. Make Goebel Great folks are also part of Yoga In The Village, a twice-weekly gathering for yoga in the park and on the Sixth Street Promenade. Imperi said this week that the message behind the movement is Make. Go. Eat. The "make" is for crafty and artsy people to come to the park and do their thing; the "go" represents the bike pump track and other athletic efforts; the "eat" is a nod to the surrounding neighborhood and its lengthy menu of dining establishments. It's going to take more than money. It's going to take time, too. 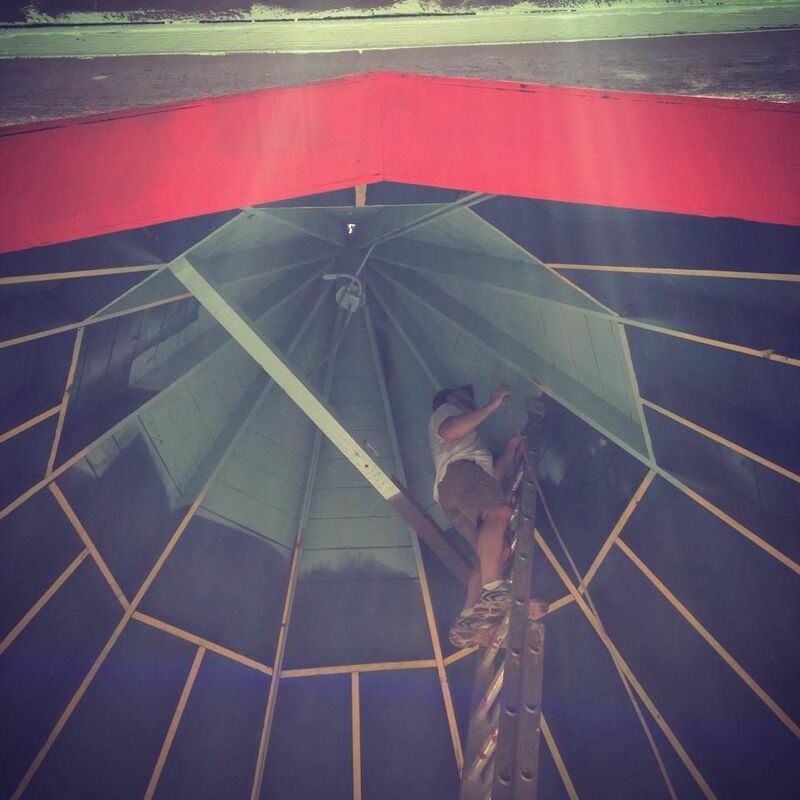 "There are many stages to this project," Imperi said. "We're looking at a couple years." By the end of the year, though, the area will be cleaned up, painted, landscaped, and there will be new playground equipment, ideally. On August 17, a concert fundraiser will be held at the park featuring local band, The Turkeys. "Our goal is to take that money and turn it into a lot more, not just for Goebel Park and Covington but to make this a park people cross the river for," Imperi said. Follow Make Goebel Great on Facebook.